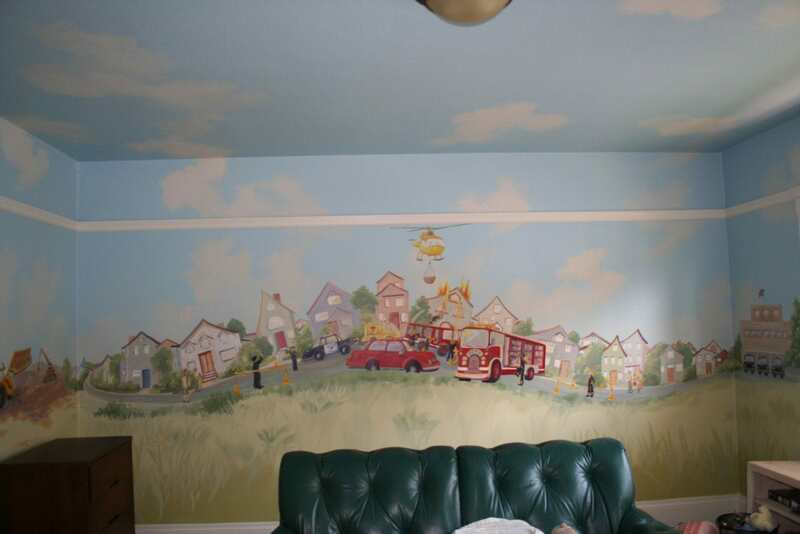 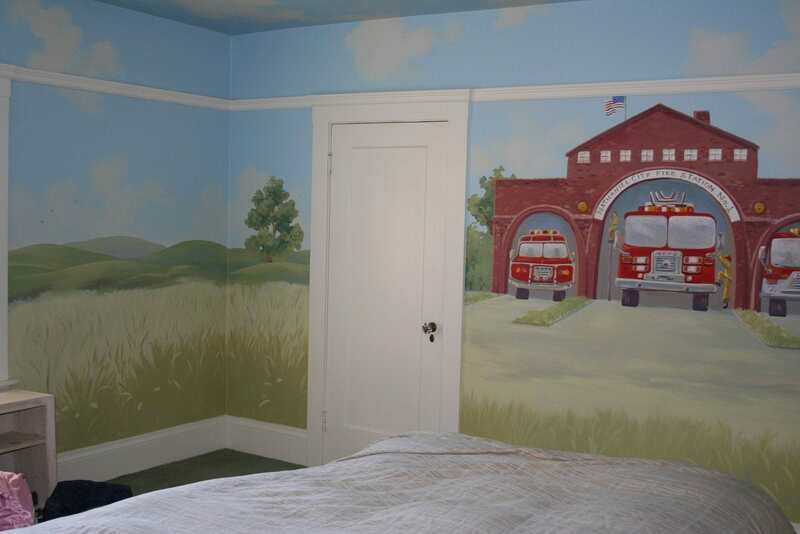 This four-wall fire station mural with clouds on the ceiling is all about the ACTION! 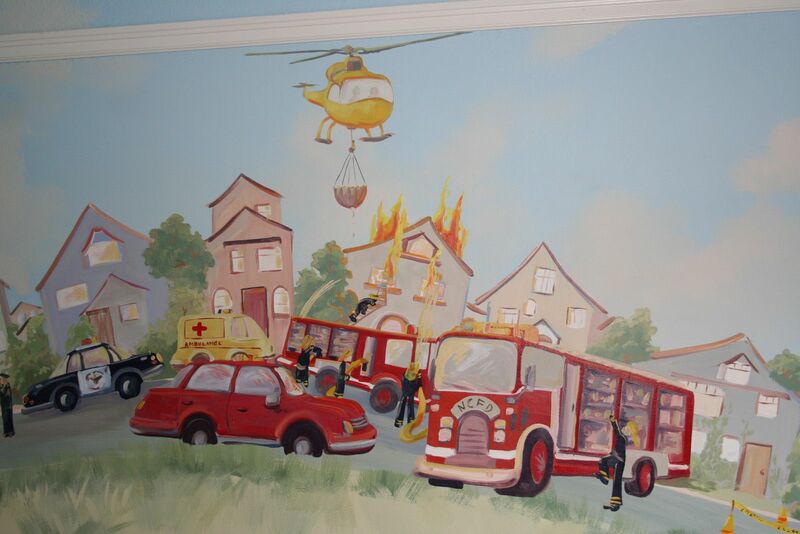 The mural includes fire trucks, police cars, helicopters, water hoses, ladders, sirens and a classic cat rescue from the tree I painted in the corner. 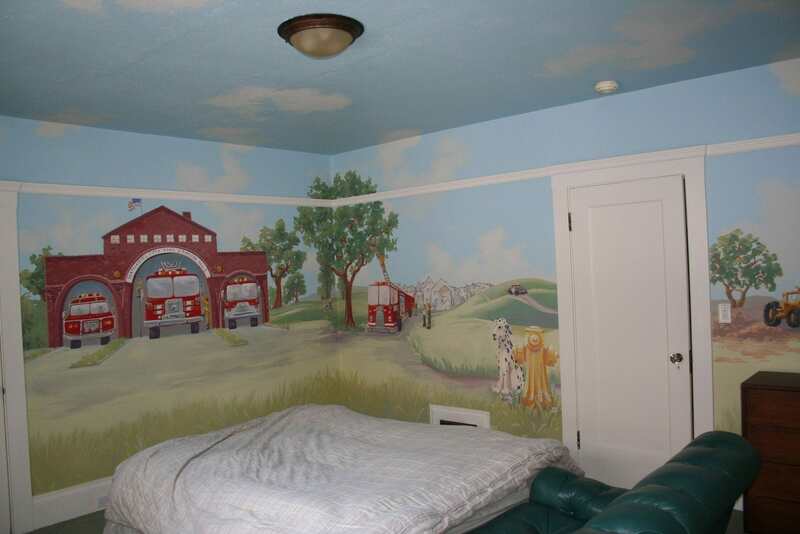 There is a police station on one wall and a fire station with the appropriate vehicles (if you have a 5 year old, this is a good moment to quiz them on the difference between a brush breaker and a hook-and-ladder truck). 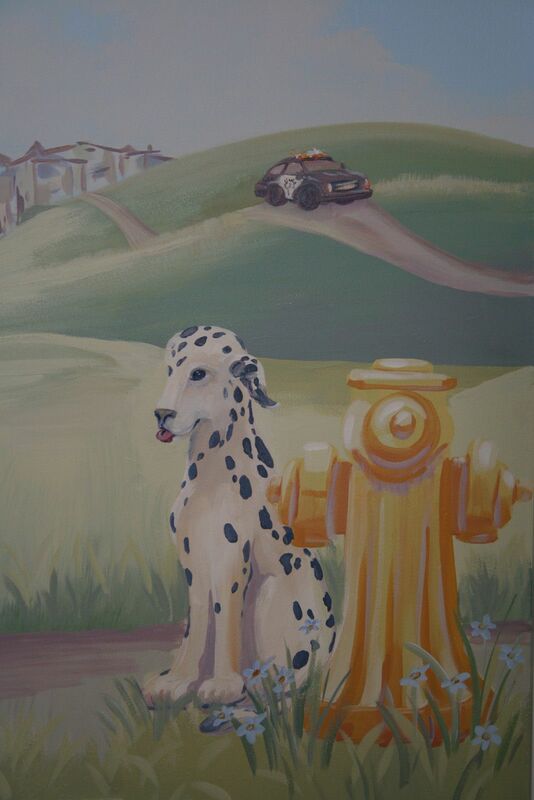 No Fire Station would be complete without the firehouse dog, the loyal dalmatian.